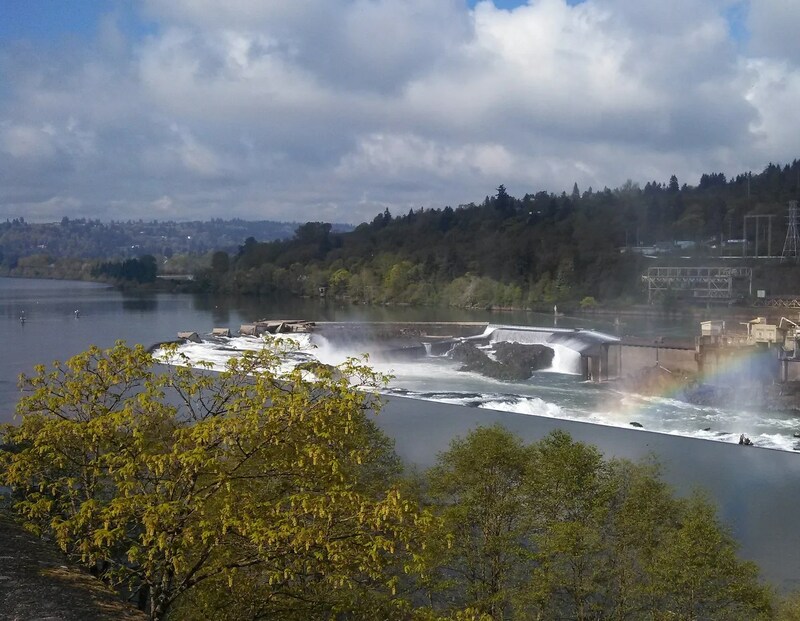 Today was my monthly spinning date with my friend Suzette in Canby, so as I usually do, I stopped at Willamette Falls to take a photo. This morning the sun came out and shone behind me, making a lovely rainbow near the falls. It was like a blessing for a lovely spinning day with a wonderful friend!